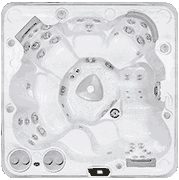 Hydropool's Self-Cleaning 395 is a 2-3 person hot tub designed for small spaces. 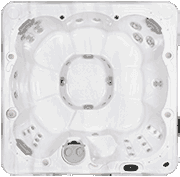 Hydropool's Self-Cleaning 395 is a 2-3 person small hot tub designed for petite spaces. 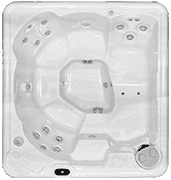 Hydropool's Self-Cleaning 495 is a true 4-person hot tub with a European design. 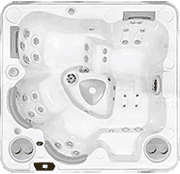 Hydropool's Self-Cleaning 570 is a 5 person hot tub that is perfect for two couples. 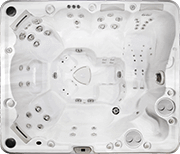 Hydropool's Self-Cleaning 670 is a 6-person hot tub with a comfortable lounger and a great leg massage. 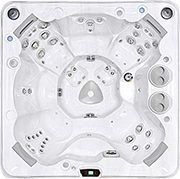 Hydropool's Self-Cleaning 695 is a 7-person hot tub with a large foot well, s-shaped immersion lounger and a great leg massage. 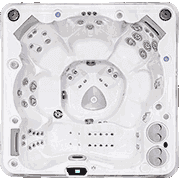 Hydropool's Self-Cleaning 720 is a 7-person hot tub with a large footwell. Hydropool's Self-Cleaning 770 is a 7-person hot tub with a never-float lounger and a huge footwell. Hydropool's Self-Cleaning 790 is an 7-person hot tub with double loungers. 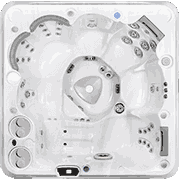 Hydropool's Self-Cleaning 970 is a 9 person hot tub and is one of the industry's largest. 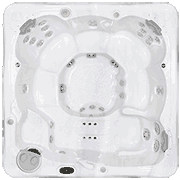 A comfortable 3-4 person spa, that's our most affordable hot tub. 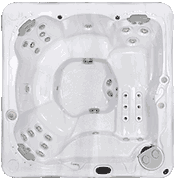 A 4-5 person hot tub with a lounger. 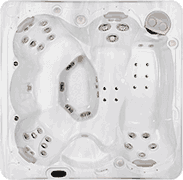 A 5-6 person hot tub with a lounger. Individual cross-training mini-pool with the athlete in mind. The swimming treadmill geared towards the active swimmer and the perfect swim. The outstanding family fun pool with all the exercise benefits at an affordable price. Mouse over image to zoom. Click for full view. 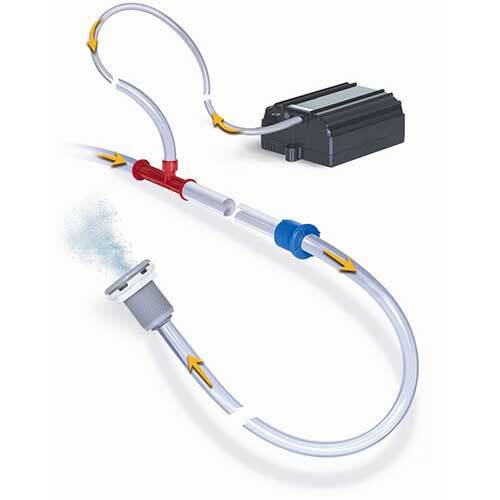 When mixed with water ozone is a highly effective oxidizer that assists in removing unwanted contaminants from the swim spa water. 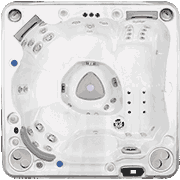 About Hydropool Hot Tubs Inc.
Headquartered in Mississauga, Canada, Hydropool Hot Tubs Inc. originated in 1970 as a commercial swimming pool company and in 1978 became one of the first hot tub retailers in North America. Our products are now sold through a 250+ retailer network in over 40 countries.